Oct. 24, 2017 2:22 p.m. The Integrated Homicide Investigation Team (IHIT) has identified the male victim of the double-shooting on Crescent Road early Monday morning. 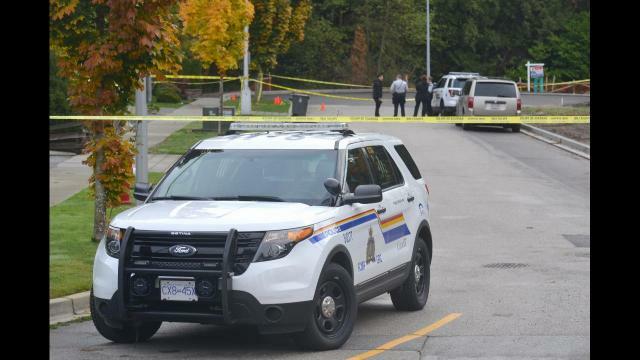 Nicholas Khabra, 28, of Surrey, died in hospital of gunshot wounds, according to a news release issued Tuesday afternoon. Khabra was found in the 14300-block of Crescent Road after Surrey RCMP responded to a report of shots fired that came in at 2:10 a.m. Monday. Shortly after the first report came in, police received a call from a female victim, who was located a short distance away at Exit 10 on Highway 99. She was transported to hospital by the British Columbia Ambulance Service (BCAS). Police say she is expected to survive her injuries and her name will not be released. Cpl. Meghan Foster of IHIT said in the release that investigation so far leads police to believe that the shooting was targeted. “Mr. Khabra and the female victim are known to each other and were together at the time of the shooting,” she said. IHIT, Surrey RCMP and the Forensic Identification Section are gathering and reviewing evidence, and the press release said the name of the victim has been released in hopes of identifying Khabra’s associates and movements prior to the shooting . Shortly after the homicide a vehicle was recovered in Langley after having been deliberately set on fire, but police say it’s too early in the investigation to confirm whether the incidents are linked. Anyone with information is asked to contact the IHIT Information Line at 1-877-551-IHIT (4448) or by email at ihitinfo@rcmp-grc.gc.ca. Should you wish to remain anonymous, contact Crime Stoppers by phone at 1-800-222-TIPS (8477).